The Vampire Ringmaster of The Halloween Circus! It’s death-defying, it’s stupefying, it’s THE MOST INCREDIBLE SHOW YOU’LL EVER SEE! 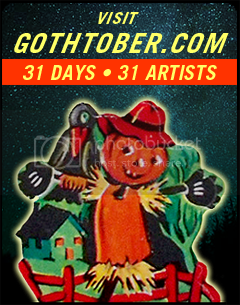 And it’s all visible by clicking Gothtober Pumpkin #13!!! The Gump Family has done it again with a spectacle you’ll not want to miss this Spooky season! 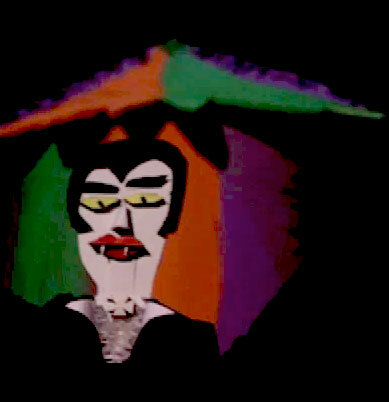 Michael Gump of BananaBee Lab has wrangled the Gump household and friends into making a marvelous pageant of colorful Halloween Circus display. You’ll see trained spiders! (I think they’re saying “yummy yummy” is that correct?) You’ll see the Strongest Monster, you’ll see the funny clowns and SO MUCH MORE! The master of ceremonies is voiced by the young and amazing Arrow Gump, and you can hear his (also quite amazing) younger sister Pixie in the background providing dynamic fanfare! Daddy Gump can be heard as various characters, and Mama Gump was doing a bit of puppetry here and there. Joel and JJ Day Departments helped with the camera magic, and Grapejuice helped edit the thing into the fast-paced, action-packed showstopper that it is today. 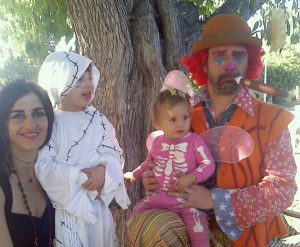 Apparently, Arrow walked up to his Dad and said “Dad, we’re doing The Halloween Circus this year” and so the project began with all the making and doing that goes along with building a circus! Gotta put up the tents, water the um… crocodiles and get those skeletons and spiders in line! This family really knows how to put on a show. I hear that Halloween circuses are especially challenging since half of the staff is nocturnal, which is also something that Gothtober has here at the headquarters, a succinct inability to regulate decent circadian rhythms, and such is the life of vampires. Anyway, go see The Halloween Circus, it’s a rousing success, you can watch it over and over again and it just keeps getting more exciting!